The ultimate musical experience evening. Swingaoke gives you and your guests the once in a life time chance to sing with the fantastic 10 piece professional band live on stage. This is live band karaoke like no other show – the swinging rhythm section, the power of the magnificent horn section, sharp suits, beautiful vintage instruments, and YOU! 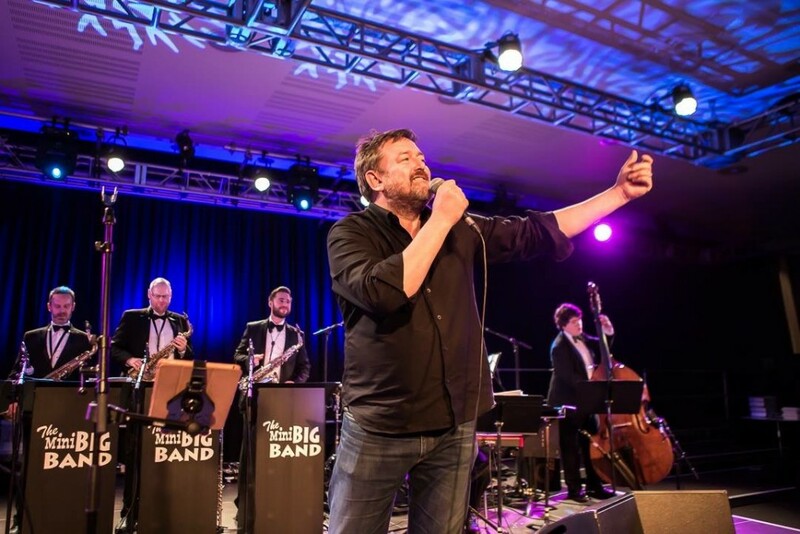 Here’s Guy Garvey performing his Swingaoke song at his Meltdown festival 2016 at The South Bank Festival. The unique chance to perform alongside an exhilarating 10-piece live swing band. Provides a memorable, exciting and entertaining spectacle for participants and audience a-like. Carefully selected repertoire of classic swing numbers ranging from Buble to Sinatra. The Mini Big Bands’ sharp suits, authentic big band stage set and beautiful vintage instruments give a real touch of class to any event. Your evening will begin with a taster of the Mini Big Band’s fantastic swing show to get everybody in the mood, followed by a short break to collect all of the prospective singer entries. 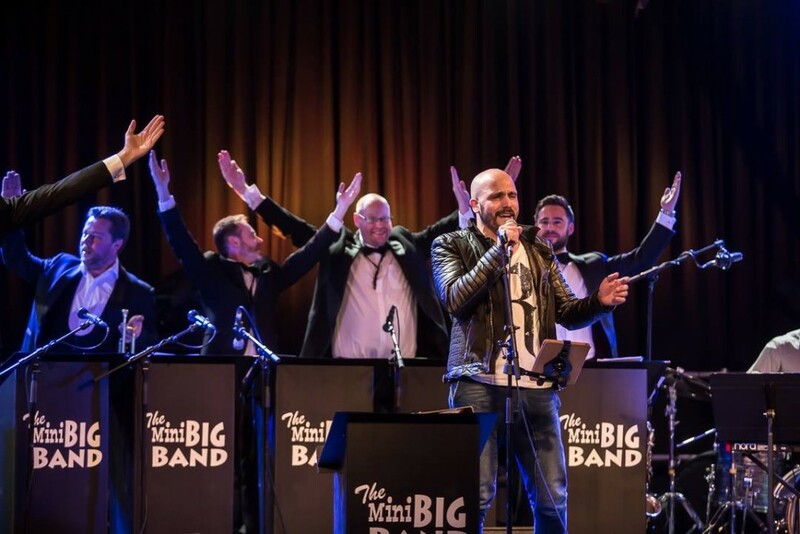 The Mini Big Band then run the evening, with their professional singer compering the evening and also offering some friendly support should it be required. This package aims to cater for our corporate clients, offering the chance to make a day of the whole experience. This package includes a rehearsal slot in the day with the full band, allowing your selected clients and guests to practice with the band. This not only helps them to put on a great performance, it allows them to develop their confidence and communication skills with the audience, creating an exciting and entertaining show for participants and audience a like. If you have any queries please contact us. Please note that this is an extra service alongside The Mini Big Bands usual show, request on booking.